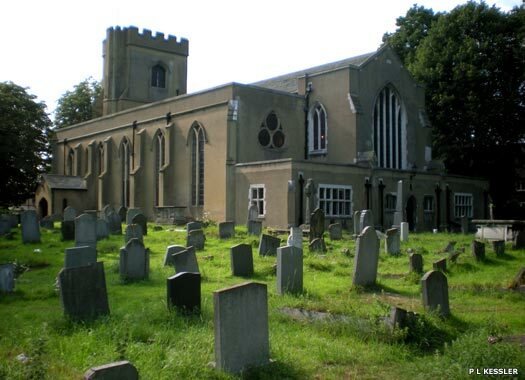 The Church of St Mary's, Church End, was in existence by about 1147, at which time, and for much of its existence, it was the only church in Walthamstow. The oldest surviving work in the present building, the remains of circular piers, appears to date from the thirteenth century and suggests that the Norman church was either rebuilt or enlarged by the addition of aisles. A Kentish ragstone tower existed by 1431 with at least one bell. Another was added after 1525. In around 1535 the church was extensively restored and altered. Both aisle and porch were built of brick, on stone and flint foundations which may date from the original church. Later on, the tower arch was almost entirely rebuilt in brick, but the stone bases of its jambs survive, and the whole church was rendered in mustard-coloured cement. In 1552 there were five bells, but the number increased over the years until by 1969 it had reached ten. The Church of the Nazarene is on Church Hill. It began life in 1901 when Welsh residents began to meet for worship. In 1901-1927 services were held in the Modern school, Grove Road, and the church joined the London Welsh Methodist Presbytery in 1903. In 1932 Church Hill House was bought and demolished, and the stables converted into the Moreia Church. 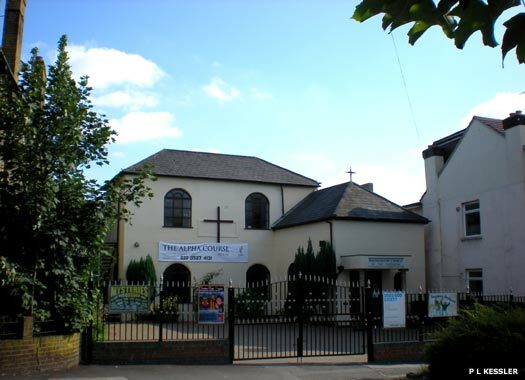 In 1958 the Moreia moved to Forest Baptist Church in Leytonstone, and the stables were sold to their current owners. 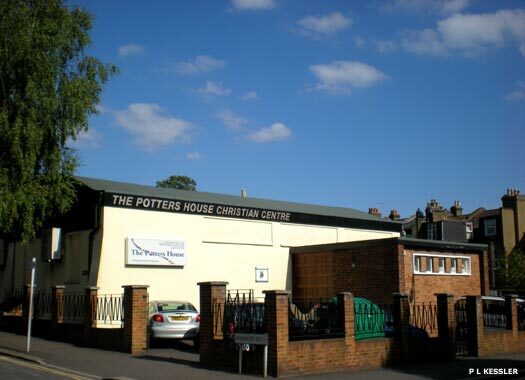 Potters House Christian Centre is a place of worship for the Brethren, who had an unusually strong following in Walthamstow. In 1903 there were eight local churches, with very high attendance figures. The only one to survive was Folkestone Road Brethren Hall, and may have started with missions held at the town hall in 1884, and then in an iron church in Queen's Road. This new hall in Folkestone Road was opened in 1889, and was rebuilt in 1963 in the modern style. Church Hill Baptist Church is a little further down Church Hill, close to Hoe Street. 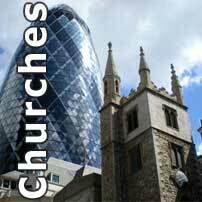 The church was known as Commercial Street Memorial Church, and sometimes as Cairo Road Church, and was formed by the Union of Zion, Maynard Road, and the Particular Baptists of Commercial Street, whose church was formed in 1633 in Wapping. 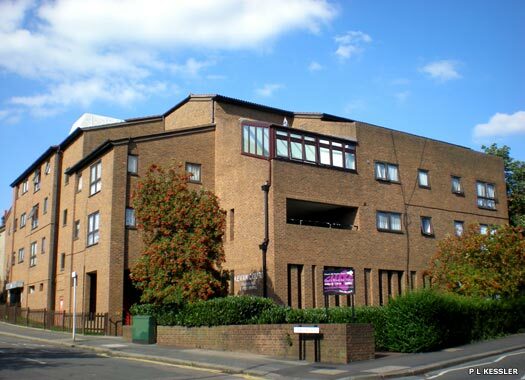 The building was replaced entirely with this combined church and housing block sometime in the late 1990s or early 2000s. Marsh Street Mission was usually called Marsh Street Church (the old name for the High Street), although it is on Mission Grove, one road further back. It is usually said to have originated in 1672, when the house of Samuel Slater, a minister removed in 1661 from the lectureship of St James, Bury St Edmunds, was licensed for Presbyterian meetings. The mission underwent very mixed fortunes, and met at various locations before settling at Marsh Street in 1739. The church has a very confusing history, with buildings being put up and buildings being demolished, but it seems the current church building was constructed in 1939, following the sale of old mission buildings. However, it wasn't to be used for long. 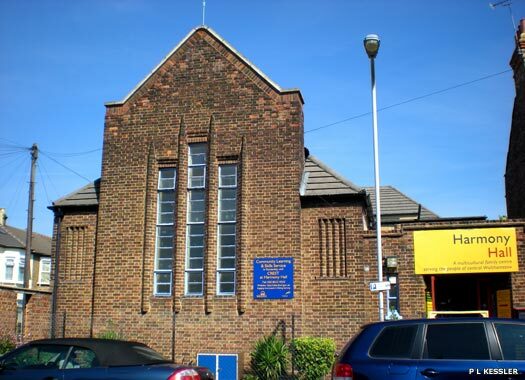 In 1965, the Marsh Street congregation joined that of Trinity United Reformed Church on Orford Road. 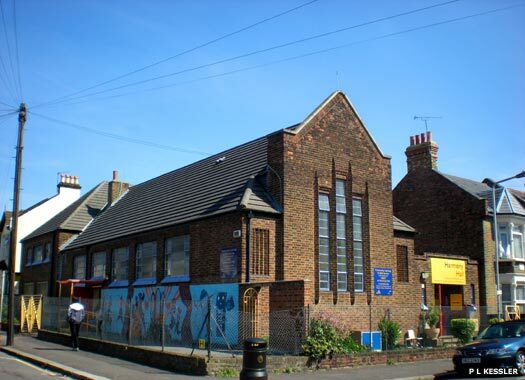 The old church building on Mission Grove is now a local learning centre and nursery named Harmony Hall. Selborne Road Tabernacle, on the corner of Vernon Road, originated in 1882 when J Copeland, the pastor of the Union of Zion Church, held meetings in St James Street. 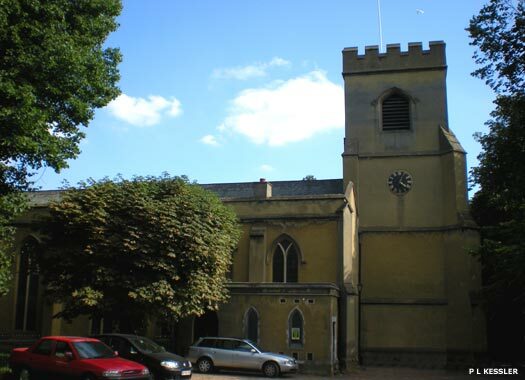 A church was formed in Marsh (High) Street in 1883, and moved to Selborne Road in 1886, probably on completion of plans to build a church there. The Tabernacle was sold to the Midland Railway in about 1891-1892 and demolished to make way for the Gospel Oak-Barking line, a latecomer to the area. The Salvation Army Citadel High Street was designed by W Gilbee Scott so that shops could be installed below it in the busy High Street. 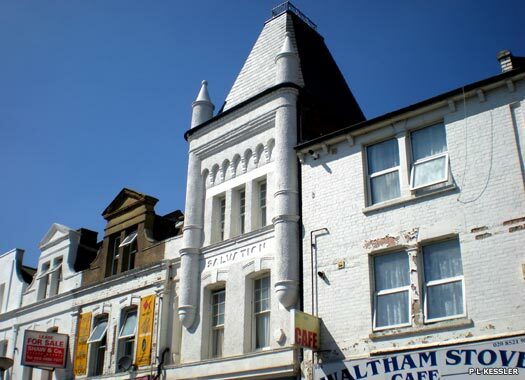 It was built in about 1891-1892 on the site of Ball's boxing booths. By 1903 its Sunday congregations totalled 932, second only to the Lighthouse Methodist Church among nonconformist places of worship. In 1961 the Army moved to new premises on Forest Road, and in 1970 the old Citadel was occupied as shops and storage. 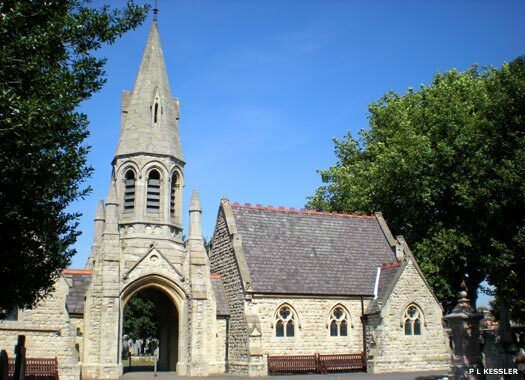 Queen's Road Cemetery Chapel is just a little way south of the High Street. 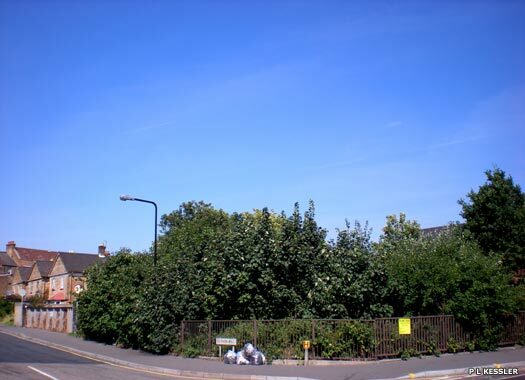 The cemetery, which covers eleven acres, was opened in October 1872 by the Walthamstow Burial Board, who had the two chapels and belfry, together with the lodge, coroner's court and various other buildings erected. The cemetery is now full, except for the re-opening of family plots. Many have been neglected for years and may be subjected to the modern practise of having memorials removed.